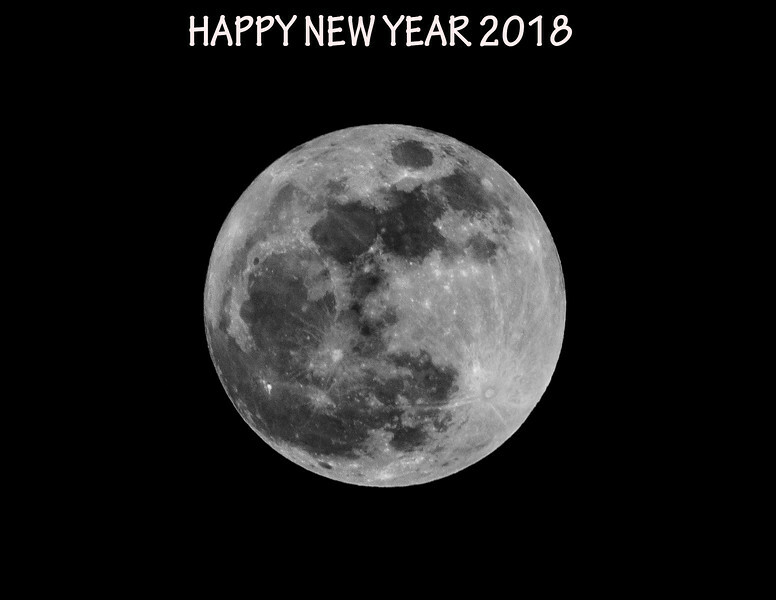 Jan. 1, 2018 - Wishing everyone and very happy and healthy New Year! Hope 2018 is better than 2017 was. This is a super moon, a full moon also called the wolf moon. It will be the first of two full moons this month the blue moon will be Jan. 31, which I hope the weather will cooperate and I can take the picture as well!